Austin is all about the outdoors – even when it comes to dining. With the cooler temps settling in, now is the perfect time to enjoy outdoor dining every day of the week. Justine’s whimsical garden-style outdoor dining will whisk you far away from the thought of just starting another busy week. Illuminated by sprays of soft string lights and chandeliers you may just forget you’re not on the banks of the Seine. Where: 4710 E. 5th St. When you want to take it easy on Tuesday because you’ve got so much else going on, head over to Patrizi’s food trailer for tasty outdoor meal. Patrizi’s has its own covered seating, but it also shares the courtyard area of the Butterfly Bar where you can sit as well. The whole vibe is like having a low-key dinner in the backyard of a close family member. The fact that these hard working food connoisseurs even make their own pasta will make the rest of your workweek look easy. Getting through the end of hump day requires a little dose of what Austin does best – weird. This offbeat trailer eatery is all al fresco so make sure to visit when rain isn’t in the forecast. When there’s still one last day of work left in the week, the subtle glow of the string lights overhead will help you unwind while having dinner at Contigo. The upscale comfort food doesn’t hurt either. The idea behind the restaurant was to bring the experience of eating out at the Contigo ranch to people in the city – and they nailed it. Friday evening is all about transitioning from a work state of mind to weekend fun. The beer garden at Easy Tiger was made for Friday night. You can kick back and relax, pull up a seat and strike up a conversation with the people sharing your table or play a game of ping pong. The beer garden is nestled into a crook along Waller Creek, which gives it an element of natural wonder in the middle of downtown. But these guys aren’t just all about beer. If your idea of winding down for the weekend is a coffee and pastry they have that too. Where: 709 E. 6th St. 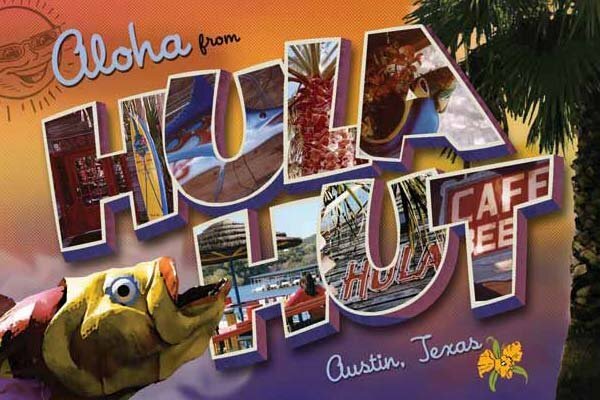 Forget about Sunday Funday, Saturday is when dining should let it’s hair down, and Hula Hut is the place to do it. Ample outdoor seating right on Lake Austin affords amazing views and a beachy feel for anyone eating al fresco. Where: 3825 Lake Austin Blvd. When the original Maria’s was closed, locals worried that one of the most beloved taco shacks in the city would disappear. But affordable Mexican food that stands out in a saturated market has a way of prevailing. Maria’s pulled through and opened a new joint that is even funkier than the last. But the crowning achievement is the festively painted outdoor dining area complete with a stage. On Sundays the Gospel Brunch will get you in the groove to enjoy the remainder of your weekend. Let Royal Executive Transportation get you to your Al fresco dining destination in style any day of the week. We’re happy to make suggestions if you’d like to know more about the outdoor eateries here in Austin.